My mother gave me her dress dummy. Problem: it was size 10. NOT me. 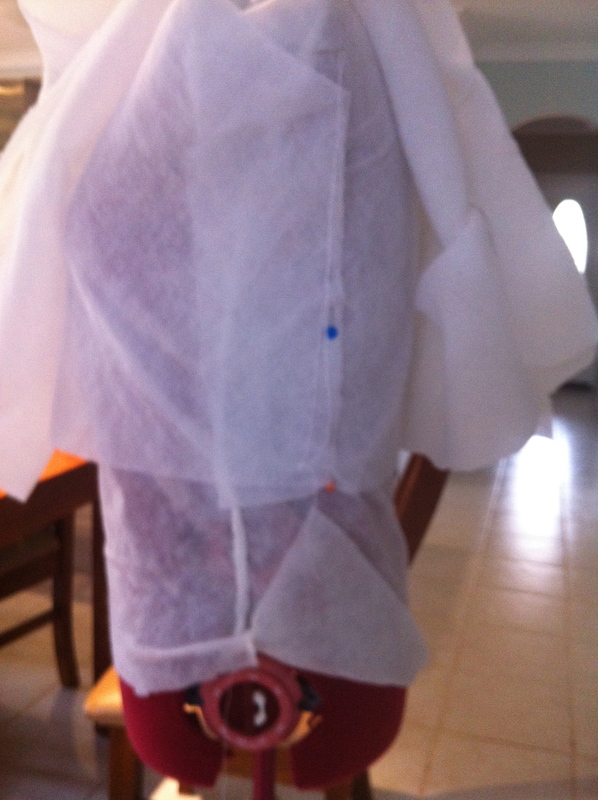 I layered scraps of pelon and batting onto the dummy. I wound it with layers of batting from my scrap bin. Every layer stitched for stability. Then I covered it with black cotton interlock fabric ( $12.99 at Textile Traders; the one with the furry, warm , inside). Sophisticated in black, dummy waiting for creative appliqué! Now I have a dummy that I can pin stuff onto in my own size. 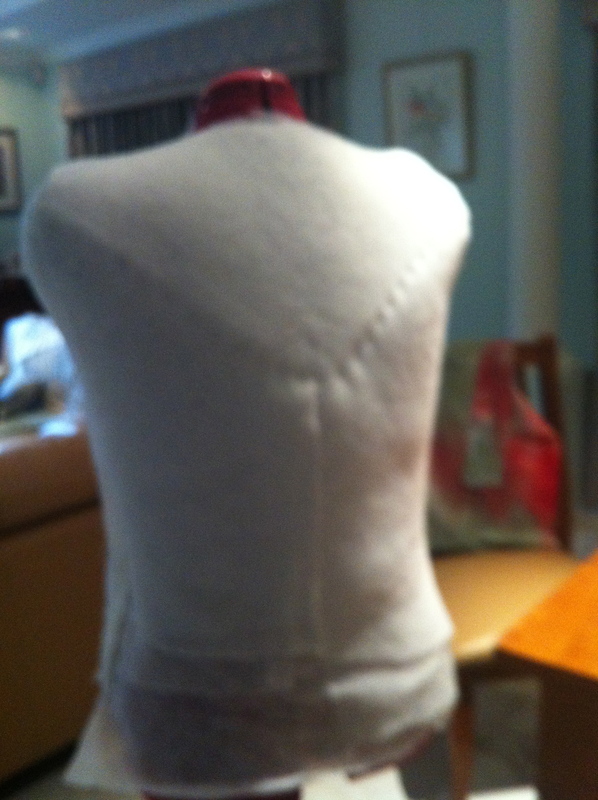 Starting with a freeform knitted and crocheted vest. Looks fantastic! What a great idea. Yes looks very “you”. And using the wadding must have created some space to store that stash!